We couldn't help but think of a scene from the end of the 1980s movie classic, Back to the Future when we were driving the 1999 Toyota Tacoma 4x4. 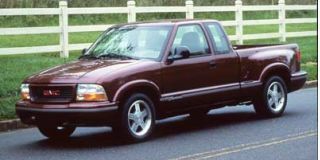 "Marty, I finished waxing your truck - and I put three coats of wax on this time," Biff said with a smile, as he handed Marty McFly the keys to his four-wheel drive Toyota pickup. 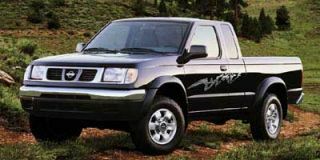 Although Toyota's compact truck wasn't actually christened Tacoma until 1995, spiritually the Tacoma is the same as the black truck used in Back to the Future. Just as Marty's Toyota 4x4 looked like it was more than capable off-road, our truck, equipped with the $1,660 Toyota Racing Development (TRD) off-road package, appeared to have similar abilities. And with off road tuned suspension, black wheel arch moldings, 15-inch alloy wheels rolling on 31-inch tires and a locking rear differential, the Tacoma we tested definitely had the equipment necessary to tackle serious off-road situations. With 190 horsepower and 220 lb-ft of torque, the Tacoma Xtracab's 3.4-liter V-6 also helps make it more than capable of propelling its way over and through tricky off road situations. 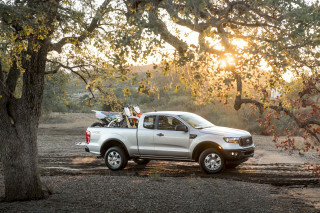 Judging by our truck's spec list and its demonstrated performance this truck is an excellent off-road companion. the Tacoma's TRD off-road package gives it trail-riding prowess, it does compromise the on-road manners of the Tacoma. While it does heave a bit while shifting, the advantage of the manual transmission does enable the driver to better use the engine's ample power. 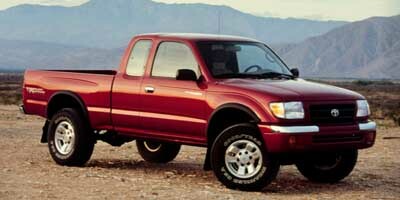 With the manual transmission and V-6 engine, the Tacoma Xtracab 4x4 felt more than adequately powered. 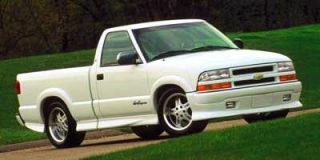 But even though we did like the Tacoma's powerful V-6 engine, the noise it generated seemed to permeate the truck's cab more than we expected from a Toyota equipped with a DOHC V-6. 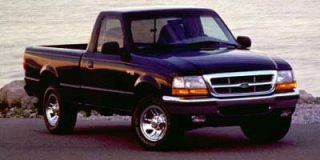 And despite bearing the Toyota name, the Tacoma's interior seemed to lack the high quality feel of many of the company's other vehicles. The interior was rather spartan -especially considering our truck's as tested price was $25,103. The door panels and seats looked and felt particularly cheap to us. At the end of our week with the Tacoma our knee began to hurt as it rubbed against the hard plastic on the doors. Plus, this writer's admittedly long legs were further pained from seat cushions that seemed too short. If we were to contemplating spending our hard earned money on a truck right now, we would buy Toyota's new full size Tundra instead of the Tacoma. 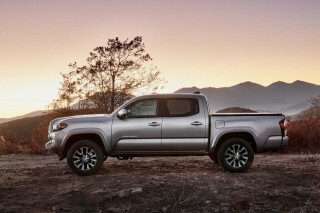 For relatively little extra money, the Tundra can be equipped with a silky smooth V-8, four door Access cab and an interior much more befitting a Toyota than the Tacoma. If there were to be a Back to the Future sequel today, we'd bet Marty McFly would be driving a Tundra instead of the Tacoma. 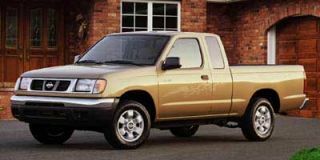 Despite all its shortcomings, if you are looking for a capable compact pickup with off-road ability, a powerful engine and legendary Toyota reliability, the Tacoma might be worth a look.